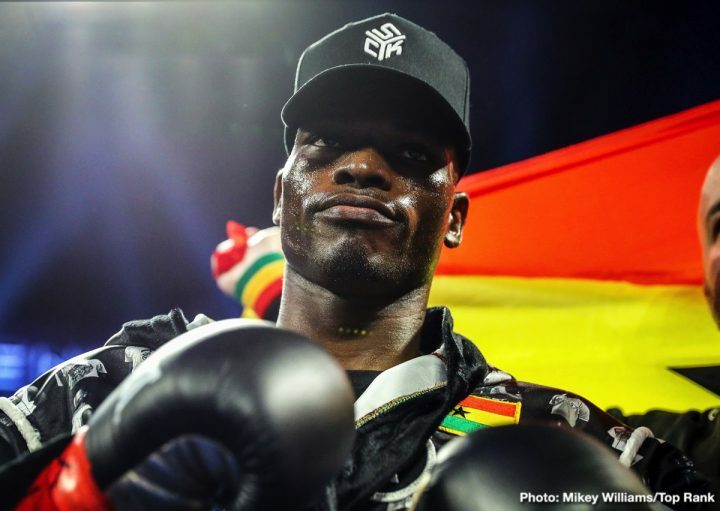 By Cole Johnston – Richard Commey (28-2, 25 KO’s) dominated Isa Chaniev (13-2, 6 KO’s) on Saturday night to capture the vacant IBF lightweight championship. 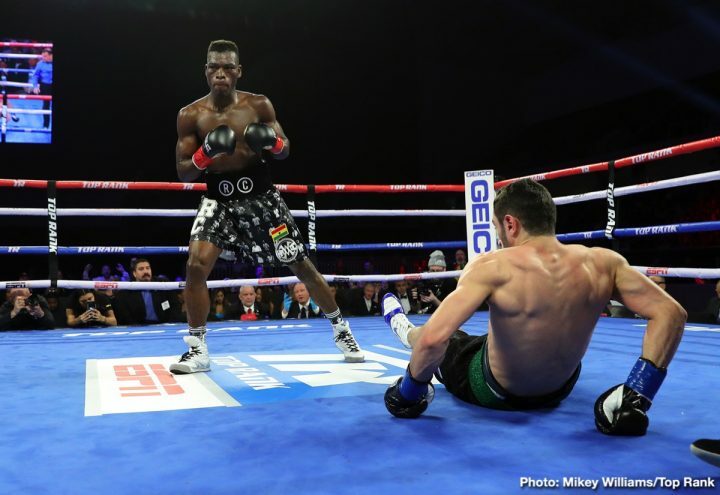 Commey blitzed through Chaniev’s defence and managed to put him away in the 2nd round of their 12-round contest. 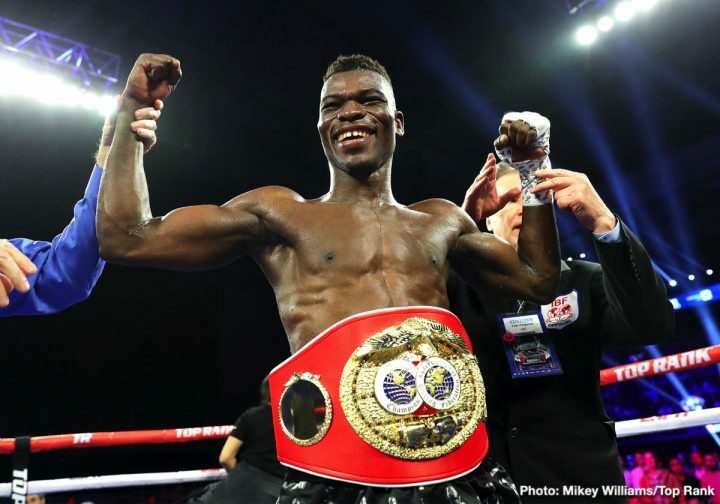 This is Commey’s first championship victory, and second title fight. 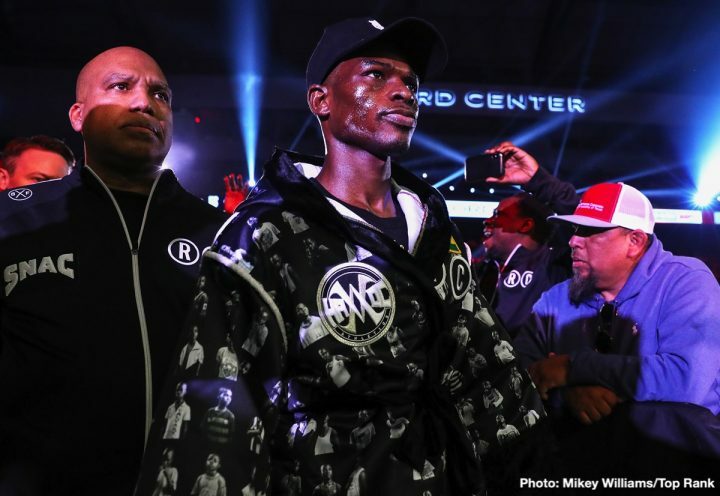 He previously lost to Robert Easter Jr in a very close split decision. 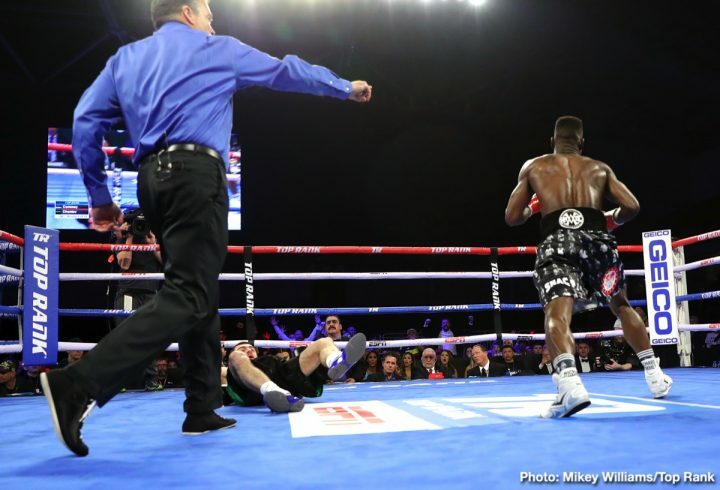 Commey was a very aggressive fighter right from the start, as he managed to score knockdowns in each of the 2 rounds. 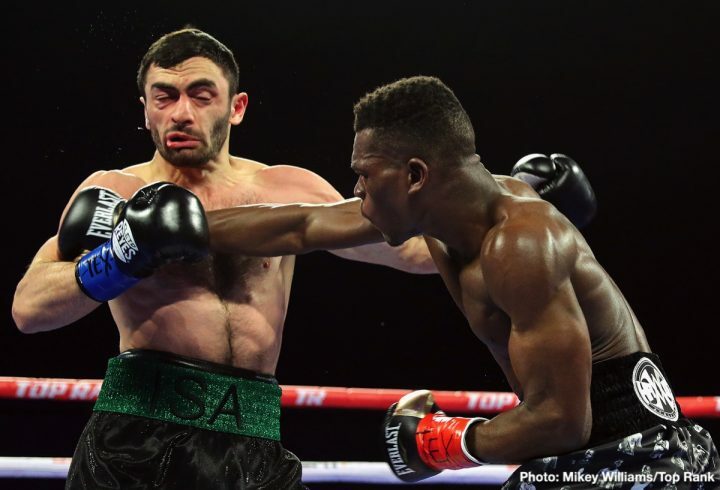 Commey hit Chaniev flush with a right hand in the opening round, and probably would have gotten the stoppage in the first round, had Chaniev not been saved by the bell. 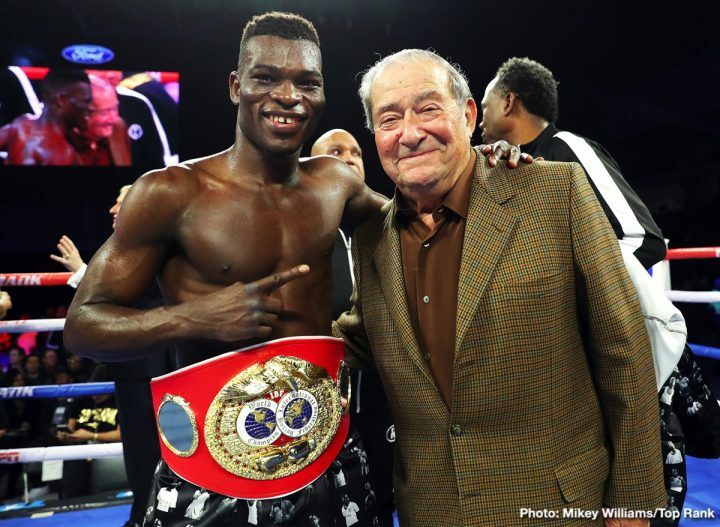 Commey picked up right where he left off in the first round when he dropped Chaniev again in the 2nd round. 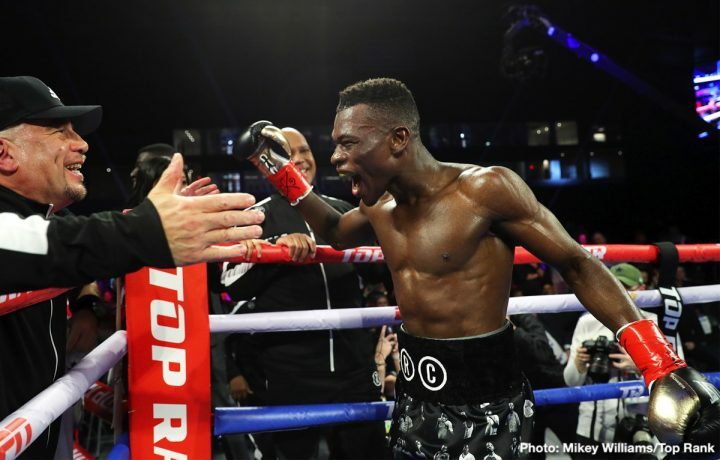 After Chaniev got up from the 2nd knockdown, Commey entered destroyer mode and started blasting Chaniev with hard shots, before the referee stepped in and stopped the fight. 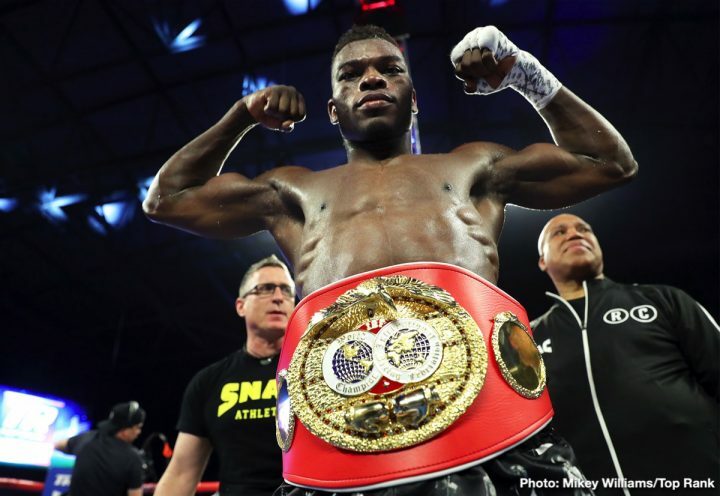 With his win, Commey puts himself in a position to face pound-for-pound great, and WBA and WBO lightweight champion, Vasyl Lomachenko (12-1, 9 KO’s). 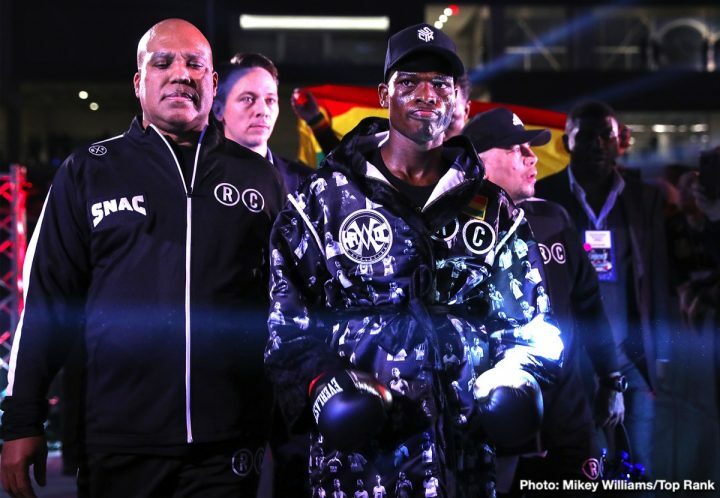 Lomachenko is on a mission to unify all of the world titles in the lightweight division, and has his eyes on Commey’s IBF belt next, as WBC lightweight champion Mikey Garcia is busy preparing for Welterweight champion Errol Spence. 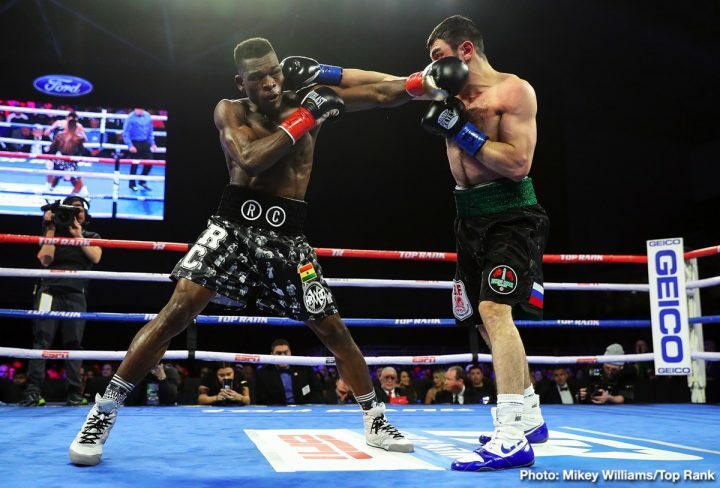 Although Lomachenko would be considered an overwhelming favourite against Commey Timothy Bradley stated that Commey was a dangerous opponent for Lomachenko, in his post fight analysist. 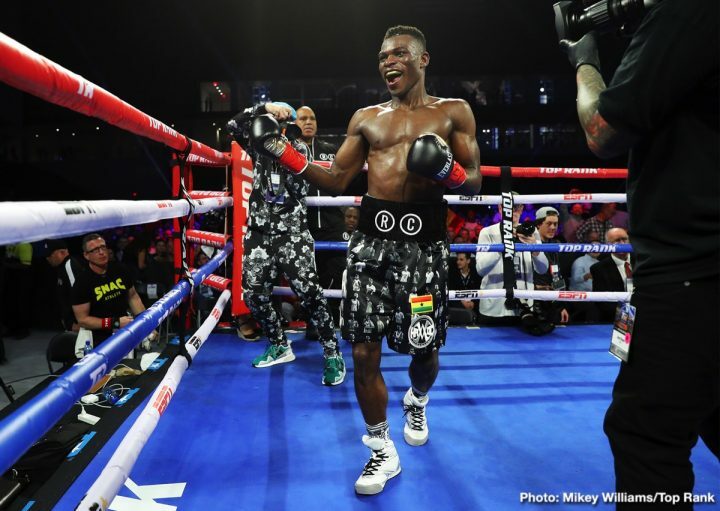 While Commey doesn’t have the slickness and skills that Lomachenko possesses, Commey is the bigger fighter and is proven to have real power in his punches. If nothing else, a unification between Lomachenko and Commey should be a very exciting matchup for fight fans. The fight is scheduled to take place on April 12th, in Los Angeles, California.